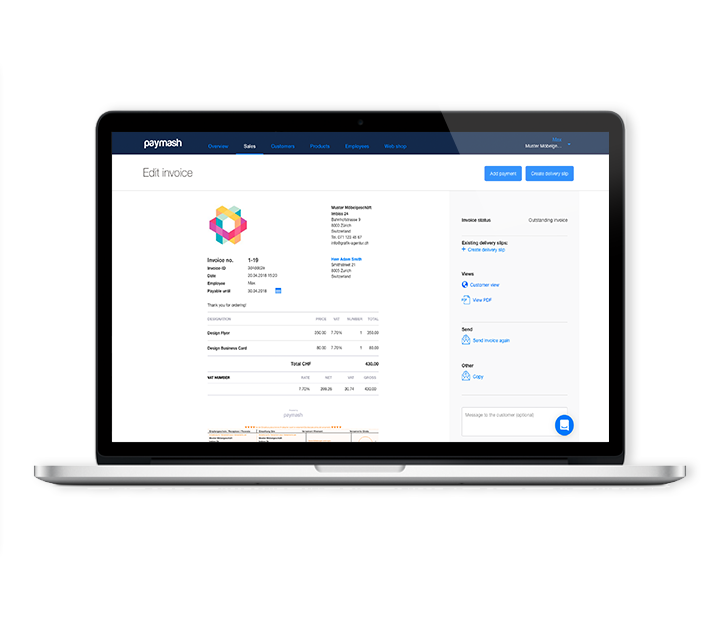 The Paymash Business Software offers you an invoice program, CRM, POS system and online shop, individually or combined in an unbeatable bundle. Try all the functions of the all-in-one business software free of charge for 14 days or sign up for a personal consultation. Efficient customer management saves repetitive office work. This gives you more time for your work and customer service. Easily import your existing contacts into the Paymash cloud. With the invoicing software you can create professional invoices and offers with little effort. 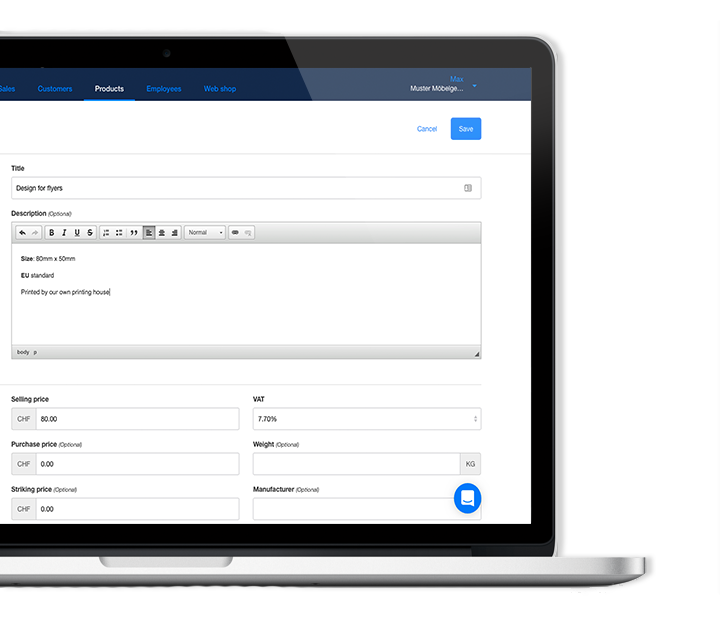 With just one click you can send invoices directly by e-mail to your customers and you can even track whether the email has already been opened. 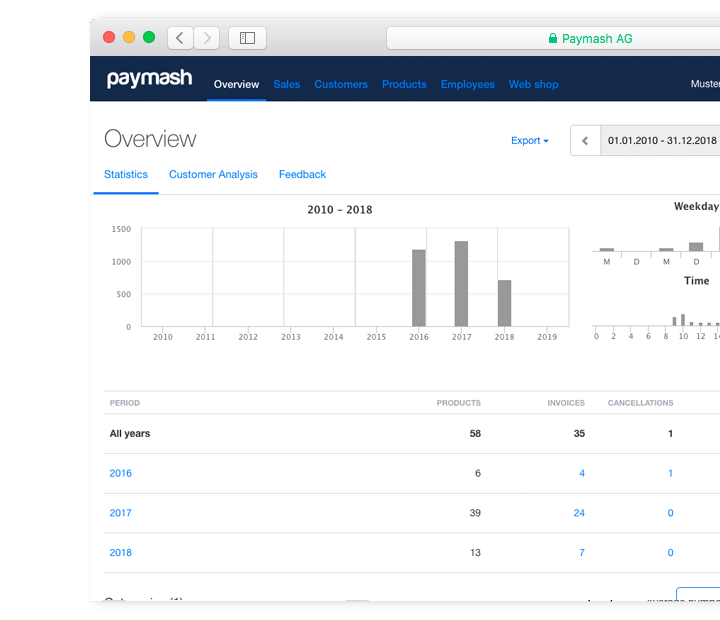 In the Paymash dashboard, you have access to all relevant business figures. Access sales, orders, customers and invoices from anytime, anywhere. 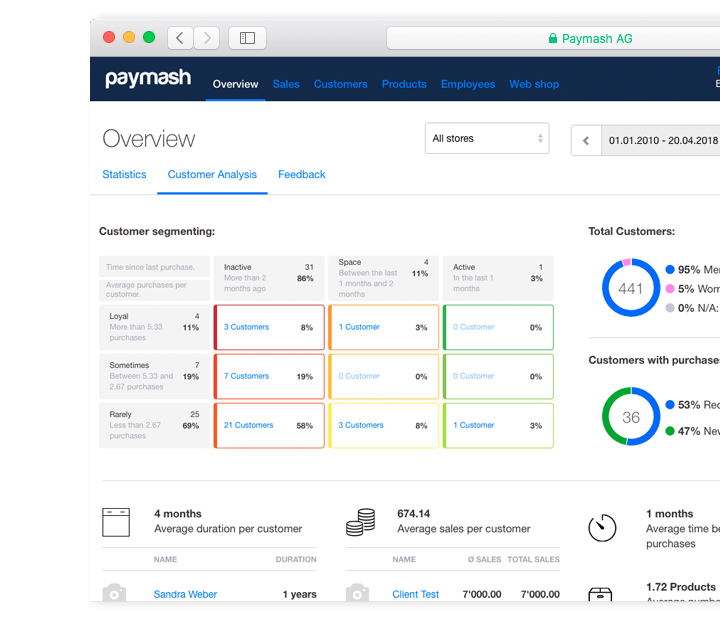 Manage all your products and services directly in Paymash. You can import existing products in an Excel file and then insert them directly into offers and invoices. With the optional inventory management, you can always see how many products are still in stock. Set prices, discounts directly from the webapp.